Festivals are the mirror of our traditions. The way we celebrate our festival depicts our sincere attempt in preserving our tradition and a deep respect towards it. India is a land of traditions, here festivals are a part of living and this could be justified well with the jam packed holidays in annual calendars. Considering the most important festival of India, Diwali is the top position holder in it. It is because the festival is not limited to a religion or to a limited class; whether Hindu, Sikhs, Buddhist or Jains all the religions have their own reason to celebrate the festival of light, and maintaining the theme of the day and the moral of the festival. In broad sense if we can say that Diwali is a national festival of India. Whichever class or whichever circle you pick, you can find equal enjoyment for the day. Dry fruits in festivals hold the same position as festivals holds in our life. They are inevitable part of our celebration and when it is the festival of light Diwali then celebration of the fest is unimaginable with dry fruits. It is meant that when you are presenting a basket of dry fruits then you are presenting a healthy surprise to your loved ones. Send Diwali dry fruit hamper or basket to your loved ones and present basketful of health to them. 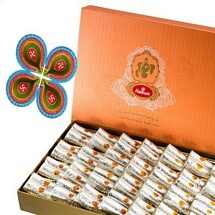 Enjoy online gifting of Diwali dry fruits to your loved ones with Elite Handicrafts. Make this Diwali much flavorsome with assorted range of dry fruits comprising of all or one of the following such as almonds, raisins, pistachios, cashew nuts, for those who stay closer to your heart. We know that you expect something really unique from us. That is why you are crawling here. We present the widest range of dry fruits hampers that caters the need and deed of everyone. 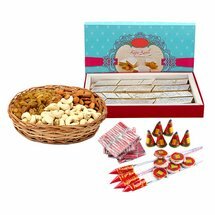 Diwali dry fruit box, Diwali dry fruit basket, dry fruits with diya, dry fruits with chocolates and diya, dry fruits with sweets and diya hamper and so on. When you pick us for your services, you are going with the most affordable and the best service provider for Diwali with dry fruits delivery. Send Diwali dry fruits hamper online all over India with speedy and free home delivery. Diwali is the festival of wealth and prosperity and we all know that health is wealth. So, this Diwali send your relatives a surprise pack and healthy and nutritious dryfruits hampers as Diwali gifts. Sharing dryfruits with loved ones is a foremost tradition in India following since time immemorial. There are many health benefits of eating dryfruits hence this is the best and healthiest surprise gift for your dear ones on this Diwali. It is said that dryfruits like almonds, pistachios, raisins, walnuts, cashews contains proteins, calcium, iron and other mineral so this is healthy for us. And what could be the best to gift someone close to our heart than healthy surprise of dryfruits. This shows your good intension that you want a healthy and wealthy life for the recipient and will convey your heartiest blessings to them. So, buy Diwali dryfruits hampers online for gifting it to your friends and relative living far from you in India. Choosing the right gift is very tricky especially when you are selecting gift for your whole family. Diwali is the occasion when you must pick gifts for all your family members and dryfruits hampers is one of the best gifts you can choose to delight your family. Apart from these we have delectable sweets and chocolates hampers that comprise of mouthwatering sweets like Rasgulla, Kaju Katli, Kaju roll, Soan Papdi, Soan cake, Gulab Jamun, etc. and chocolates from renowned brands like Ferrero Rocher, Cadbury, etc. 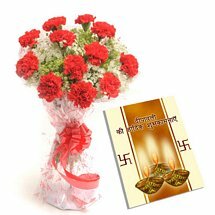 You can buy and send Diwali gifts hampers to India online for your family and friends and make the day special and memorable affair to remember for them. We have express gifts delivery services in all over India through which you can never be too late for sending Diwali gifts to India online. You can also avail our free delivery services, one day or same day delivery services to delight your dear ones on Diwali. 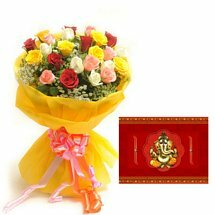 Here you will get vast varieties of gifts and gift ideas to choose from for Diwali. Whether looking Diwali gifts for family, friends, employees, colleagues or lover we have something for everyone here and all your desires will be fulfilled here at best affordable rates also. 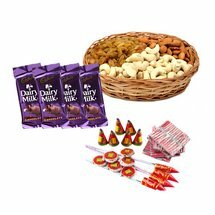 So buy and send Diwali gifts with dryfruits hampers to India to delight your loved ones and be the part of their celebration even staying miles away from them.